IT marketing internally sourced isn’t going to be as effective as that from an exterior source when it comes to skill in effective campaign design and expertise in navigating marketing waters. If you think about it a moment, it’s easy to see why. You can’t afford to spend your primary operational funds on developing the most cutting-edge, effective marketing out there. You’ve basically got to devote a certain quotient of the budget to internal marketing efforts, and that’s it. So the hands of your marketing representatives are tied by natural operational limitations. Meanwhile, outsourced marketing sourced from professional agencies has an in-built prerogative to devote resources toward effective, cutting-edge marketing solutions. The better they are at this, the more clients they source, and the better their business does. So they’ve got greater capital to spend on skill and expertise than internal solutions. When there are more funds available for marketing outreach solutions, more technologically cutting-edge solutions can be sourced. The best you’ll be able to do internally is tread water, to make a metaphor. Meanwhile, the outsourced marketing solution has their own jet-ski. An agency that regularly works with diverse clients in multiple areas is going to encounter more diverse situations than an MSP that primarily works in tech provision for a handful of customers. There tends to be a certain level of specialization when it comes to MSPs. Some offer this, some offer that, few offer everything. Meanwhile, a marketing agency designed to assist MSPs sees their needs across the board. They’re able to figure out what works best and use a massive diverse grid to ensure such practices truly are effective. As such best practices are identified, they are put into play among MSPs who need the help. You don’t have to reinvent the wheel with an outsourced agency. Going this route is the difference between getting a flat tire and building a replacement yourself, or going to an auto repair place, buying a new one, and having it installed. Sure, you may be handy enough to design a tire, but it’s not going to happen overnight. Meanwhile, with the tire shop, you just show up, they throw on the new tires, and you sign the bill. That saves you time, and in the business of tech, time is most definitely money. When you can cut down the time necessary for service, support, upgrade, or installation, that time can then be devoted toward more worthwhile pursuits. You’re able to maximize your time expense. 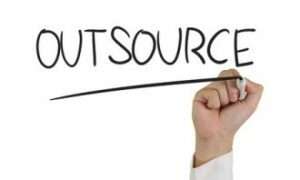 Additionally, cost-effective best practices likewise help your organization; as do the skill and expertise which comes from professional outsourced solutions, and the cutting-edge tech which also silhouettes these things. When a process is in place using the best practices and the best tech in the field, it’s easier to get things done cost-effectively. Adjustments to marketing strategy need not invert your entire outreach department. Instead, the outsourced agency just “rolls with the punches,” as the saying goes, and helps meet your needs as they arise. There is a certain monochromatic quality to insular thinking. When an MSP never gets any exterior assistance, they tend to do things one way. Now, that one way may “work,” but eventually it’s going to come up against a challenge that can’t be overcome by normal operations, and requires a new perspective. With an outsourced marketing solution, that new perspective saturates service. With interior solutions, it’s absent or impossible to find. IT marketing which encourages the outsourced component is going to see greater ROI more cost-effectively, quickly, and technologically. If you haven’t considered this option, it may be wise to do so. You could be wasting resources collaterally without even realizing you are doing so. Outsourced marketing usually saves a lot in all aspects.